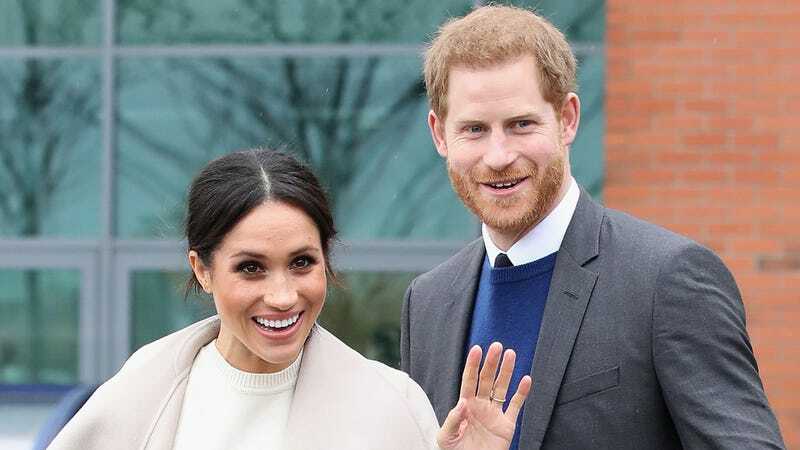 Have you found that you are one of the handful of people staying stateside while all your friends, family, and hundreds of millions of other Americans are living it up at Windsor Castle in England this weekend, celebrating the nuptials of Prince Harry and Meghan Markle? Well, not to fear, because ClickHole will be giving you live updates, from the moment the dipshit duke who shows up two hours early because he read the time wrong all the way until Harry and Meghan die of old age. So check out ClickHole (and on Twitter and Facebook) for royal wedding coverage so good you’ll almost not be ashamed you weren’t invited. UPDATE: Read below to relive all of the incredible moments from today’s royal wedding!